Did someone say Bourbon and Tequila in Bend? We did, and we’re excited. How do we utilize Bourbon in Bend during the month of May? The first Saturday in May is Kentucky Derby and the start of the run for the Triple Crown. Time to try another Mint Julep and see if the classic cocktail can be improved; when the mint and sweet is balanced properly with a good Bourbon the cocktail is freaking phenomenal! And, Bend, we can’t forget about tequila! Cinco De Mayo, one the most holy of drinking days, for us north of the boarder. 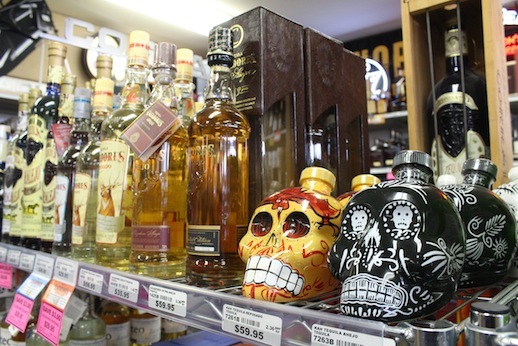 It’s a good time to try a new Tequila in Bend. With over a 1000 brand names of Tequila flooding over the boarder you will have no problem finding something new to sample in Bend, Oregon. Bend, Oregon Spirits: Who Likes Bourbon?! Bend, Oregon: We know you love Bourbon. If you have ever asked your wife’s cousin’s friend who manages a liquor store in Bend if they could hold a bottle of George T. Stagg for you the day it gets released because you couldn’t make it to the store within the two hours they are going to sell out – then you might be a Bourbon geek in Bend, Oregon. Well, geeks, get ready to ask your wife to call her cousin to inform their friend that there is a new version of this cultish Bourbon that is going to hit the shelves very soon in Bend. Buffalo Trace (BT) has announced that in mid-August various markets will start receiving shipments of Stagg Jr. Bourbon, a younger version of the George T. Stagg (GTS) Bourbon. GTS is part of the distillery’s Antique Collection and is available, briefly, once a year in the fall. Originally revealed to the public in 2002, GTS has earned a reputation as being a very complex, yet well-balanced Bourbon – even though its proof usually hovers around 140, which makes it one of the highest proof Bourbons available to the public. The “Jr.” doesn’t come from its lack of punch. Made with the same mashbill as the original, Stagg Jr. is unfiltered and uncut, meaning it is bottled at barrel proof. The first batch of Stagg Jr. will weigh in at 134.4 proof, well above what most Bourbons bottle at (usually around 90 proof, or 45 percent alcohol). But Stagg Jr. will not be as old as its progenitor. According to BT, it will be a combination of Bourbons that are eight to nine years old, compared to the 2013 GTS which will be 16 years old (GTS is usually aged for around 15 years). Starting sometime in August, Stagg Jr. will be available in 750 ml bottles for the suggested retail price of $49.99.